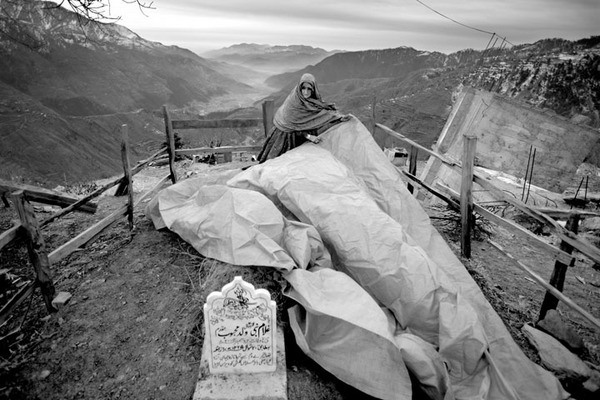 It is early morning in the village Jiggan on 2.350 meters above sea level and Budleajan covers the grave of her son Gulam, who died in the earthquake. - He was my best son, says the mother. Jiggan, Pakistan, January 26, 2006. Espen Rasmussen, "After the Quake," in POYi Archive, Item #46205, http://archive.poy.org/items/show/46205 (accessed April 18, 2019).